Spanning eight decades from the beginnings of commercial radio to the current era of international consolidation and emerging digital platforms, this pioneering volume illuminates the entire course of American broadcasting by offering the first comprehensive history of a major network. Bringing together wide-ranging original articles by leading scholars and industry insiders, it offers a comprehensive view of the National Broadcasting Company (NBC) that brings into focus the development of this key American institution and the ways that it has intersected with, and influenced, the central events of our times. Programs, policy, industry practices and personnel, politics, audiences, marketing, and global influence all come into play. The story the book tells is not just about broadcasting but about a nation's attempt to construct itself as a culture—with all the underlying concerns, divisions, opportunities, and pleasures. 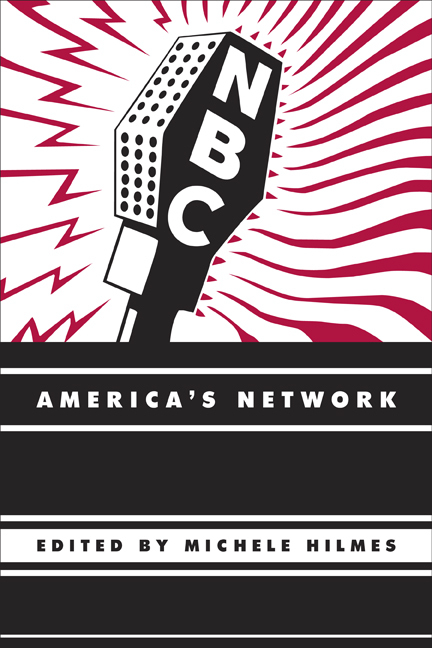 Based on unprecedented research in the extensive NBC archives, NBC: America's Network includes a timeline of NBC's and broadcasting's development, making it a valuable resource for students and scholars as well as for anyone interested the history of media in the United States. Michele Hilmes is Professor of Media and Cultural Studies in the Department of Communication Arts and Director of the Wisconsin Center for Film and Theater Research at the University of Wisconsin-Madison. She is author of Only Connect: A Cultural History of Broadcasting in the United States and The Television History Book, among other books. "NBC: America's Network is an outstanding book about one network across US television history. Hilmes is an excellent editor who brings broad insights about the television industry to bear on this volume. The individual essays present different approaches and methods, and together provide an integrated history of NBC with analysis that respects the medium and the people that worked in it. "—Mary Beth Haralovich, co-editor of Television, History, and American Culture: Feminist Critical Essays.